Plus, the end of the Nazi Zombies chapter as we know it. 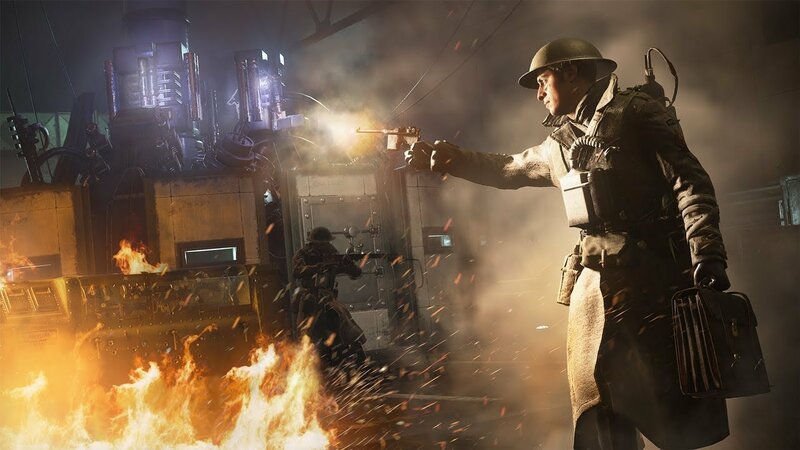 Call of Duty: WWII shows no signs of slowing down, not even with Call of Duty: Black Ops 4 around the corner. There's a brand new DLC pack incoming, in fact, and it's hitting PlayStation 4 next week with a collection of three new multiplayer maps, a new War Mode mission, as well as the final chapter in the long-running Nazi Zombies story, which bookends a particularly harrowing saga that folks have been enjoying for quite some time. This particular DLC includes the multiplayer maps Chancellery, Airship, and Excavation. Airship can be found deep within the Alps at an enemy base as players war to control a zeppelin. Excavation is located deep in an Algerian mine, and Chancellery is as fancy as it sounds: set in a French Chancellery. The new War Mode mission, Operation Arcade, is the doozy here. It takes place smack dab in the middle of a research facility in Austria's mountainous region. There's a whole bunch of mumbo jumbo about UFOs there, and it's pretty far out. That's on purpose, according to the game's multiplayer environment artist, and it's kind of par for the course at this point when it comes to Call of Duty. That's cool, though, because it helps the serious moments feel a lot cooler when they do come around. Shadow War is coming to PlayStation 4 Call of Duty: WWII owners on August 28, and it'll launch for the rest of you folks without the system shortly afterward. Anyone with a season pass can play with friends, even if they don't own the DLC between August 28 and October 28 as well, so they can spread the love. Isn't that nice of Activision?